In a major boon to local production, “Bumblebee,” the spinoff movie from Paramount’s “Transformers” franchise, will shoot in California with the help of a $22-million tax credit. It’s the largest tax break awarded to date under a state program aimed at curbing so-called runaway production. The new movie will film entirely in California, according to a Paramount spokesman. Production is expected to take place in the Los Angeles area as well as in Northern California, according to two people familiar with the project who requested anonymity because they were not authorized to discuss it publicly. The production, described only in state records as the “Untitled Paramount Project,” has received preliminary approval to receive a state tax credit of $22 million, according to the California Film Commission. The amount exceeds the roughly $18 million in credits approved in August 2016 for Walt Disney Studio’s “A Wrinkle in Time,” which also shot in California. Filmmakers can recoup as much as 25% of their spending (up to the first $100 million) on crew salaries and other qualified costs, such as building sets. Studios can then use such credits to offset state tax liabilities they have in California. “Bumblebee” is scheduled to begin shooting this summer in anticipation of a 2018 release. The movie, starring Hailee Steinfeld, will serve as a prequel to the popular “Transformers” movies and will explore the origins of the Bumblebee character on Earth. Travis Knight, who directed the Oscar-nominated animated movie “Kubo and the Two Strings,” is directing. Previous installments in the “Transformers” cycle have filmed in the U.S. and around the world, including in China and Great Britain. The fifth and most recent release, “Transformers: The Last Knight,” opened in cinemas last month and has so far grossed $495 million worldwide. California’s expanded tax incentives went into effect in 2015, with earmarked funds for feature film production. The expansion tripled annual funding available for movie and TV shoots and allowed large-budget features — those with budgets of $75 million or more — to qualify for credits. The incentive program was designed to entice more major motion pictures to choose California and reverse the tide of runaway productions to states like Georgia and Louisiana, which both offer lucrative tax incentives. California officials hope that more in-state film shoots will help spur local economies through spending and hiring. Rising star Jorge Lendeborg Jr. is in talks for another big project: He’ll play the young male lead in Paramount’s Transformers spinoff Bumblebee. Hailee Steinfeld also will star in the film which Travis Knight, who directed the stop-motion movie Kubo and the Two Strings, is helming. Bumblebee is the yellow and black striped Autobot that appears as one of the main characters in the Transformers film series. Plot details have not been released, but Steinfeld will play a tomboy who also holds a job as a mechanic after school. Sources say the tale is a prequel to the main film series, focused on Bumblebee’s life in an earlier decade. Christina Hodson (Shut In) wrote the script. The movie project is the first spinoff in what the studio hopes will be a Transformers Cinematic Universe that will include prequels and offshoots from a line of movies that have generated more than $3.7 billion worldwide. The most recent film, Transformers: The Last Knight, hit theaters June 23, and has earned $495.7 million worldwide so far. Lendeborg Jr. is a rising star, recently nabbing roles on several notable projects. He can currently be seen in Sony and Marvel’s hit Spider-Man: Homecoming with Tom Holland. 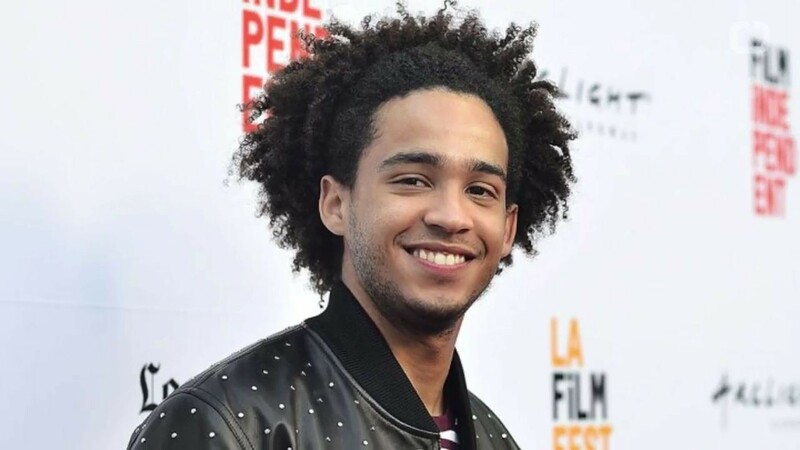 The actor, who made his feature debut starring in The Land, he also has booked roles in Robert Rodriguez’s Alita: Battle Angel and upcoming YA project Simon vs. the Homo Sapiens Agenda at Fox 2000. He is repped by Mosaic, Momentum Talent Agency and Dan Fox and Steve Warren at Hansen Jacobson.